The new Ludlow City Council was sworn in at the city building on Thursday evening. Kenton County Family Court Judge Christopher Mehling led three incumbents and three new members in reciting the Oath of Office. Tom Amann, Josh Boone, and Bill Mullins will be back for another two-year term and will be joined by newcomers Dan Ashcraft, Michelle Cartwright, and Bill Whiteley. The new council takes office in January. 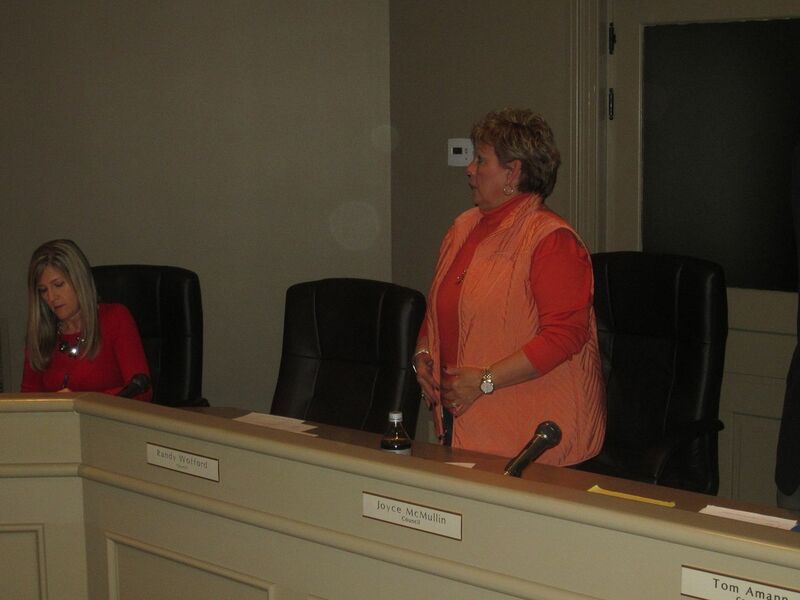 Thursday night was the final meeting of the current council, three members of which opted not to run for reelection, including 10-year veteran Joyce McMullin. Mayor Ken Wynn presented gifts to McMullin and Amy Clary, and said he would connect with Randy Wofford, who was not present, another time. Clary thanked the citizens of Ludlow and her fellow council members for the experience. "Thank you for allowing me to serve, and I look forward to the new council taking its place," she said. 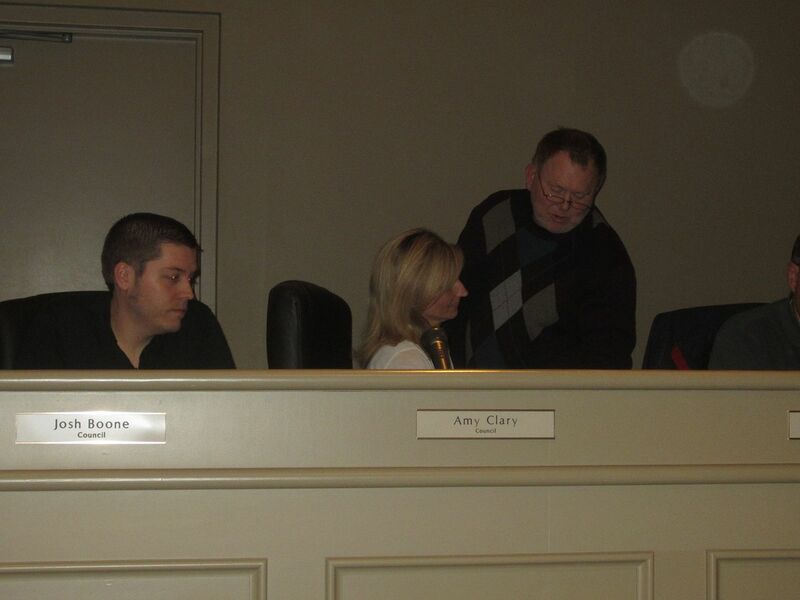 Amann, Boone, and Mullins, expressed their gratitude to their outgoing colleagues on the council. McMullin offered a teary goodbye following a decade on city council. "It's been quite the ride. I've enjoyed it," she said, choking up and pausing. "Just... thank you. I appreciate all the support. Ten years is a long time." An employee of Southbank Partners, McMullin will still work closely with Ludlow's government as she does with all the Northern Kentucky River Cities. "I have had fun and I am seeing some wonderful things happen in the other River Cities and I'm looking forward to seeing it happen in Ludlow," she said. Ludlow has seen a string of new businesses open, including Folk School Coffee Parlor, the mayor's Wynners Cup coffee shop, Jeff and John Winkle Studio, and the latest, Second Sight Spirit Distillery. They join the buzz already in the city that includes Circus Mojo and others. "I'm really looking forward to working with the new council next year," Wynn said. "I'm real excited about Ludlow."